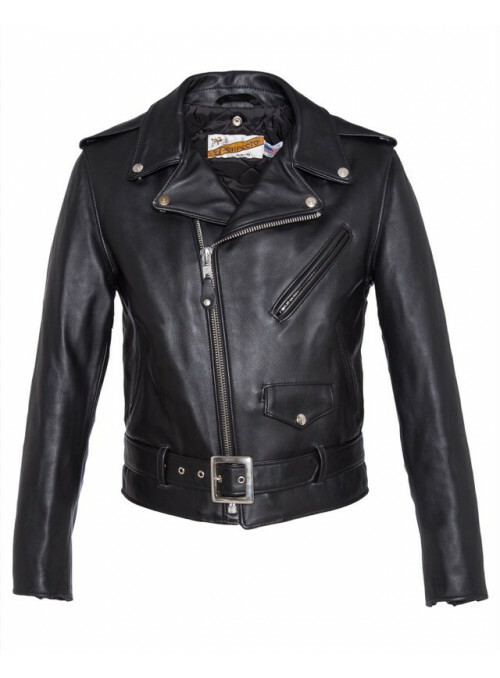 24" Slim fitting "Japanese cut" asymmetrical biker jacket with café style collar. Satin lined, bi-swing back, no underarm footballs, leather flap behind sleeve zippers, stars on the epaulets, and logo-free snaps. We recommend ordering up 1 size since this is a slim fitting jacket. Made in USA.